Waterways Beachside Villa provides modern 3 bedroom 1 bathroom holiday living with all the comforts of home. Imagine waking up everyday with peaceful parklands, river, beach and cycleway at your doorstep. Plenty for the kids to do whilst you enjoy a good book or a local wine. Waterways Villa comfortably sleeps up to 6 people in 3 bedrooms. The main bedroom has a king bed, the second bedroom has a queen bed and the third bedroom has a double bed and bunk bed. A porta cot and high chair are available at no charge. Pillows, doonas, extra blankets and tea towels are provided. Linen hire is available or you can supply your own sheets, pillow cases, doona covers and towels. Waterways Villa is for those who wish to enjoy the tranquility of the area. In consideration of our neighbours, accommodation is only made available to professionals, couples and families. Parties are NOT allowed and STUDENT GROUPS and LEAVERS are NOT Catered for. False bookings or breach of these conditions will result in the loss of your bond. Just two hours drive south of Perth, the seaside resort town of Busselton offers a range of different activities, attractions and dining to suit the whole family. There is always something to do - surfing, winery visits, archery, waterslides, animal farms, horse riding, fishing, Par 3 golf, THE LIST IS ENDLESS. The spectacular Busselton jetty is a tourist hotspot and has its own Underwater Observatory. Busselton is also a great base from which to explore the Margaret River region. Tantalise your taste buds with produce from an array of wineries, breweries, olive farms, cheese and chocolate factories. Browse the many craft and art galleries that display sculpture, glassware and furniture. Explore the magnificent unspoilt forests, coastline and caves. Quiet, clean, relaxing & only a short walk to the beach. Our family of four really enjoyed our stay at the Waterways Villa. The Complex was quiet & well kept. The Villa was very clean and well equipped. It was only a short walk to the beach that we visited every afternoon. We went swimming, snorkeling and used boogie boards at the beach and went kayaking in the inlet It had everything we needed and more. Would highly recommend this property. Look forward to returning. Jason & Karen. Thank you, Tammy - I look forward to welcoming you again soon - summer nights on the lawn with views of the beach are the best!! The house was ideal for our long weekend with toddler. The outlook from the main living area is really pleasant, with the lawn and trees and canal, and it's only a very short stroll to a couple of beaches. The house is really well equipped in terms of kitchen equipment, and a great stack of toys available for kids of all ages, plus the cot and high chair were very handy, and heaps of board games and video games and DVDs and books to keep us all entertained. Some parts of the villa are a little dated and the rear entrance area is not quite as pleasant, but the good aspects outweigh the bad by fifty to one. I'd definitely go back there again for a Busso weekend. We have stayed in this villa 3 times now and every time it has been fantastic. The villa is equip with most basics and you'll find yourself packing things that are readily available within the villa once you arrive. The villa itself is very clean, tidy with easy access to the beach, kids playgrounds and a short trip to the busselton foreshore. If you have a little one, all the basics are already there including high chair and spill mat, portacot, toys, games, dvd's - you name it. For the adults there are also a variety of boardgames, card games and dvd's. You really don't have to go to far to relax! You can also toss in a line just outside your door. We will be staying there again and again. Thanks Prue, we certainly enjoy having you stay at Waterways each year for the Ironman event! We stayed here for a week over Christmas and had a great time. The house was clean and tidy and we found everything we needed in the kitchen. The owner was very accommodating and even left out some Christmas decorations for us to put up. There is a nice area out the front of the house with glimpses of the ocean, and a warmer covered part at the back where you can bbq. The sitting area inside has great views out onto grass and trees and the river as it has floor to ceiling windows (with blinds if you want some privacy). It is literally 3 minutes walk to the beach, you don't even need to take shoes. There were lots of toys for my son, and board games for the adults too. We had a great stay and would recommend this property. We had a wonderful stay. Very well appointed with everything you need. The location is great. 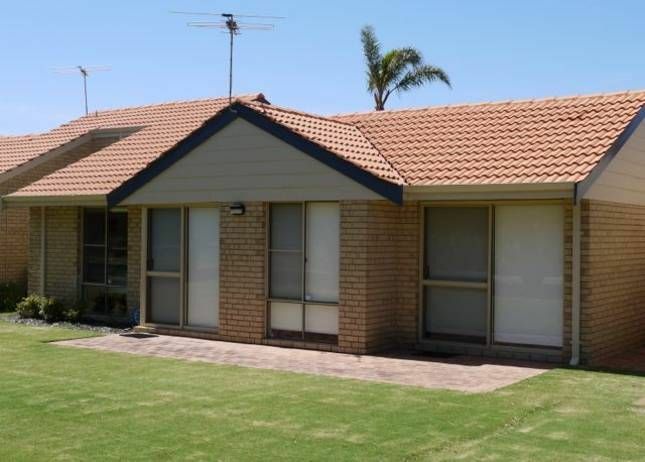 Very close to the beach, close to the shops and tucked away in a quiet area. Hope to be back.